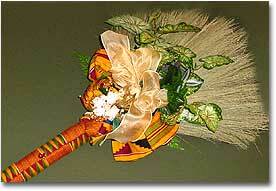 African bridal brooms - Buy Online. 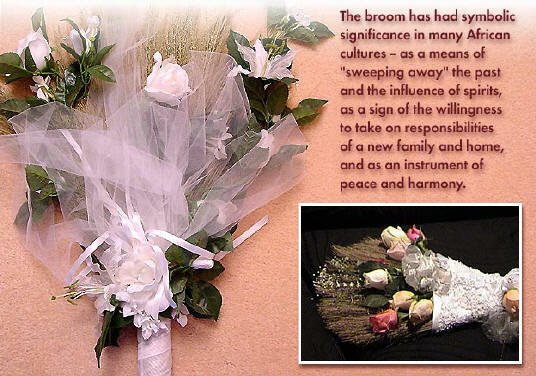 Many in honor and respect to our African and African-American ancestors and heritage, practice this Ritual and Tradition. 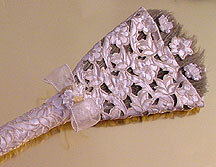 This "leap" into a new (married) life as husband and wife is performed in the presence of families and friends. 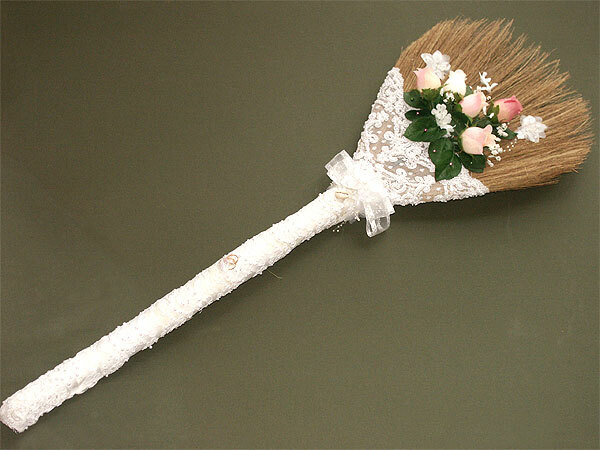 The broom can be used as wall decor after the ceremony to remind the couple of their new life and commitment to each other. 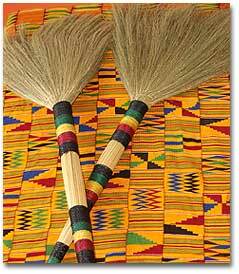 Whether you buy a broom for yourself or as a gift for another, you will definitely bring a "taste of Africa" to the special event. 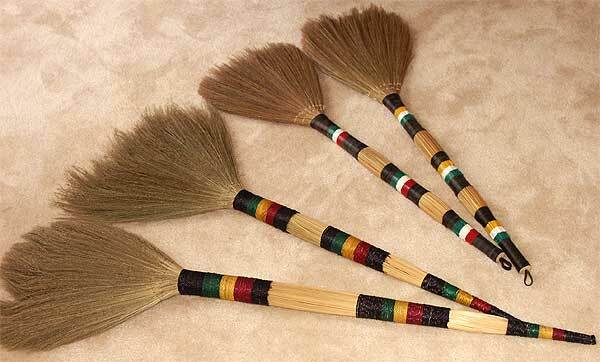 The newest stock of brooms, when shipped, have bristles still green from the land! 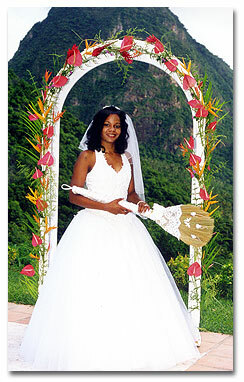 Let us plan your honeymoon. 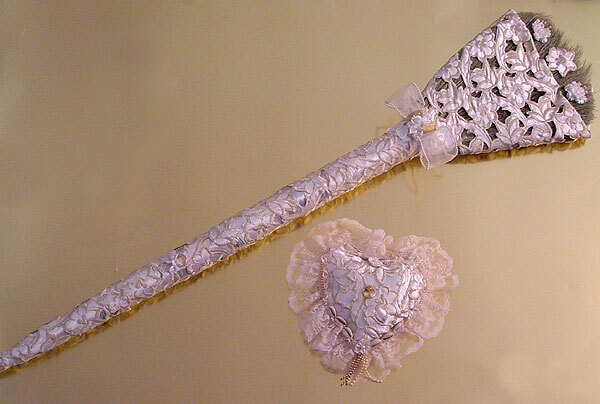 Stay at any resort in the world! 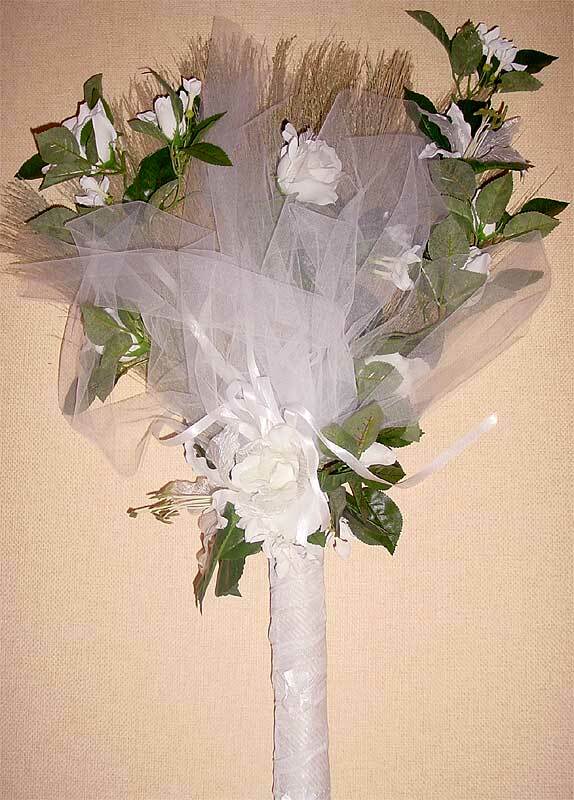 Fill out our quote request form. 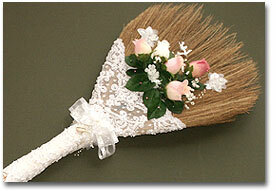 *Free bridal broom with 7 night honeymoon! 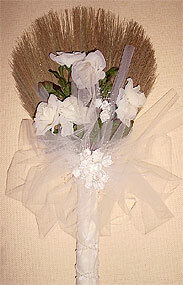 Our fancy broom with cream satin & organza fabric with cream silk flowers. 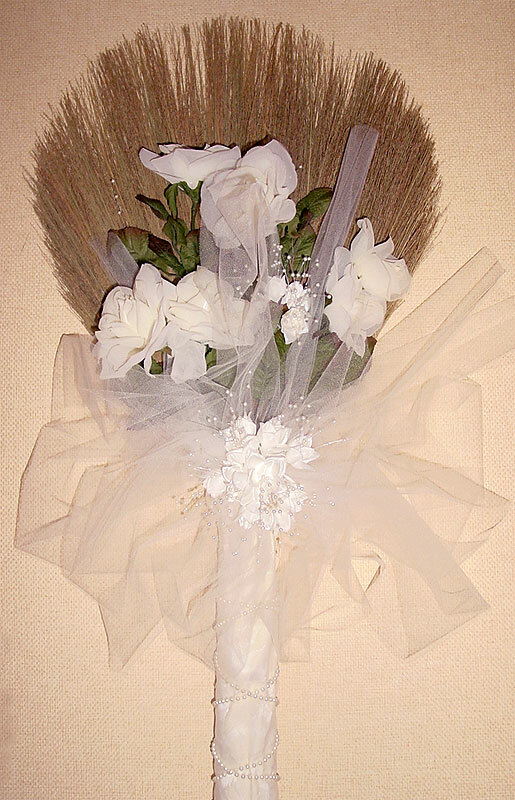 Our fancy broom with white satin & organza fabric with white silk flowers. 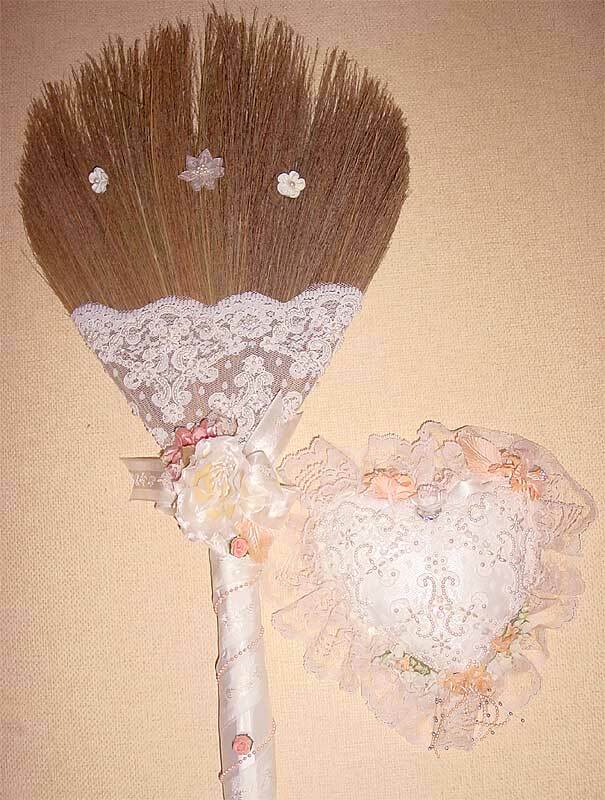 Our white lace traditional style with peach flowers and ring pillow to match (you can substitute with your own colors for the flowers). with fresh or silk roses. 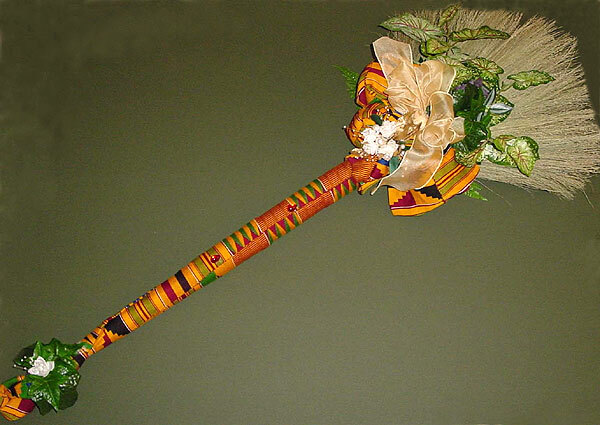 Our Kente fabric broom with green leaves and peach ribbon. Afrocentric lace broom all material with sheer bow.